The dramatic affair about the death of Alexander Litvinenko resurfaced with force Thursday, when a lawyer told a London judicial hearing that an initial assessment of evidence showed that the Russian state is to blame for the mysterious poisoning of the Kremlin dissident. An examination of British government material establishes “a prima facie case in the culpability of the Russian state in the death of Alexander Litvinenko,” Hugh Davies, an attorney acting on behalf of the inquest, said according to news reports. Litvinenko died in November 2006 after drinking tea laced with the rare radioactive isotope polonium-210 at a London hotel. His family has long blamed the Kremlin for his death, an accusation that Moscow has vehemently denied. A lawyer for Litvinenko’s widow, Marina, told Thursday’s hearing that the former KGB agent, who worked for the the Federal Security Service until his dismissal in 1998, also worked for British intelligence after fleeing to London in 2000. Litvinenko was regularly paid for information about Russian organized crime by Britain’s secret service, the MI6, barrister Ben Emerson was quoted as saying on the website of the Telegraph newspaper. Emerson also said that Litvinenko worked with Andrei Lugovoi, the State Duma deputy who is the prime suspect in his death. The lawyer added that Litvinenko had been asked by MI6 to help Spanish intelligence investigate Russian organized crime and links to the Russian state and Vladimir Putin. Shortly before his death, he had planned to meet Spanish prosecutors, the reports said. Under British law, an inquest is held to determine the cause of death when a person dies unexpectedly. It cannot apportion criminal or civil blame. The London hearing, which continues this Friday, is preliminary and aimed at setting out the scope of a public inquest probing the circumstances of the case. 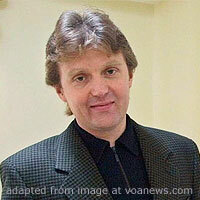 The inquest is due to start on May 1 next year, 6 1/2 years after Litvinenko’s death. The case caused an unprecedented scandal in 2006 with the allegation of a government-sponsored murder on British soil. Russian-British relations sank to post-Cold War lows in the following years, during which Moscow imposed drastic sanctions on the British Council and pro-Kremlin youth groups harassed Ambassador Tony Brenton. London has asked in vain for the extradition of Lugovoi, a former KGB member, who together with another former agent, Dmitry Kovtun, met with Litvinenko hours before he fell ill. Both left a trail of polonium behind them when they returned to Moscow. Lugovoi, Kovtun and Vyacheslav Sokolenko, a third ex-KGB agent who stayed with them at the same hotel during the alleged poisoning, have denied any involvement in Litvinenko’s death. Lugovoi, who has been a deputy for the nationalist Liberal Democrats since 2007, was unavailable for comment Thursday. His spokeswoman Sofia Filipova said that he would only make a statement after the hearing is over this Friday. Experts pointed out that while Litvinenko’s cooperation with MI6 had been suggested by British media reports early on in the affair, it was significant that investigators were again publicly blaming the Kremlin. “The British government seems willing openly to point the finger at Moscow, something they’ve been reluctant to do directly,” said Mark Galeotti, an expert on Russian crime and a researcher at New York University. Galeotti added that the discovery of polonium already is very strong evidence of state involvement because only sophisticated nuclear laboratories can produce the rare element in necessary quantities. Analysts suggested that Litvinenko may have been killed by his former KGB peers for betraying his country, or that his death was intended to scare London’s growing Russian dissident community. During his time in the British capital, Litvinenko worked closely with two of the Kremlin’s harshest critics: former power broker Boris Berezovsky and Chechen rebel leader Akhmed Zakayev. The two were subsequently accused by Moscow officials of being behind the killing. But Galeotti said that the Spanish trail might be important, too. He argued that Moscow must have been surprised about the launch of high-level investigations in Spain. “For years it seemed that Madrid just didn’t care,” he said by telephone from New York. London’s The Sunday Times reported in December 2006, shortly after Litvinenko’s death, that Litvinenko had crossed Russian mafia figures. It cited sources in Spain as saying he had provided information that helped lead to the arrest of nine suspected mafia members in May of that year. Spanish authorities went ahead with their investigations. In 2008, they arrested 20 people and seized millions of dollars in cash, cars and property, which they linked the Tambov and Malyshev organized crime groups. Among those detained were suspected ringleaders Gennady Petrov and Alexander Malyshev. In the same year, Spanish police issued an arrest warrant for State Duma Deputy Vladislav Reznik on suspicion of links with organized crime. Reznik denied wrongdoing and continues to enjoy immunity from prosecution as a deputy.